Players fond of the old adage “if it ain’t broke…” haven’t played a JB. You see, the G&L JB™ is all about refinement, blending “holy grail” Alnico single-coil tone with modern improvements and superb craftsmanship. Inspired by the classic surf sound born in Southern California, the new G&L Doheny™ takes its name from the iconic beach in the heart of Orange County where '60s surf pioneers became legends. The Coastline Slim CW Spruce QIT is an ideal choice for players who prefer the brighter sound of a Select Solid Spruce top, as well as the great feel and superb sound provided by a hand finished neck. The award-winning S6 Original Series gets revamped without compromising the classic appeal it is known for. As with all models in this Excursion Walnut series, the Excursion Walnut SG features a solid spruce top and walnut back & sides made of a 3-layer lamination of real hardwood. Taylor’s Grand Symphony shape yields a beefy acoustic sound with extra low-end horsepower. Coupled with the package of tone-enhancing strokes brought to the maple/spruce 600 Series, players can expect impressive richness, volume and sustain. The acoustic/electric Grand Auditorium 414ce-R responds well to an array of playing styles thanks to Taylor’s flagship body shape and the classic pairing of rosewood and spruce. One of two Grand Concert 12-strings offered within our 300 Series, the cutaway 352ce features sapele back and sides paired with a Sitka spruce top. 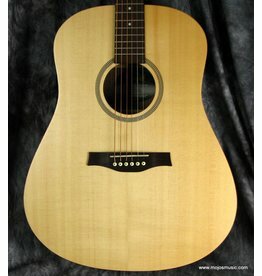 For years, Taylor’s sleek, ultra-playable necks have helped define a great 12-string experience. The 12-string Dreadnought 150e fits that signature playability and tonal clarity into an affordable package, making a quality 12-string more accessible. This acoustic/electric nylon-string Grand Concert from our Academy Series may be the best nylon-string guitar you’ll find for the money. The underlying design goal of the series is to make the acoustic guitar accessible to more players.